Welcome to today's Moshling Series 11 countdown. D is here to introduce you to today's new moshling. Today we have a really cool moshling who loves to skateboard and do some crazy skateboard stunts. It's Lips the Duck-Billed Brattypus. 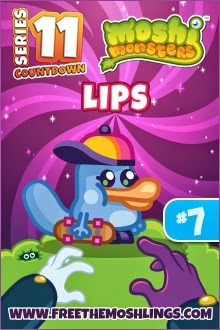 We are really delighted to see that Lips is a moshling based on a platypus. 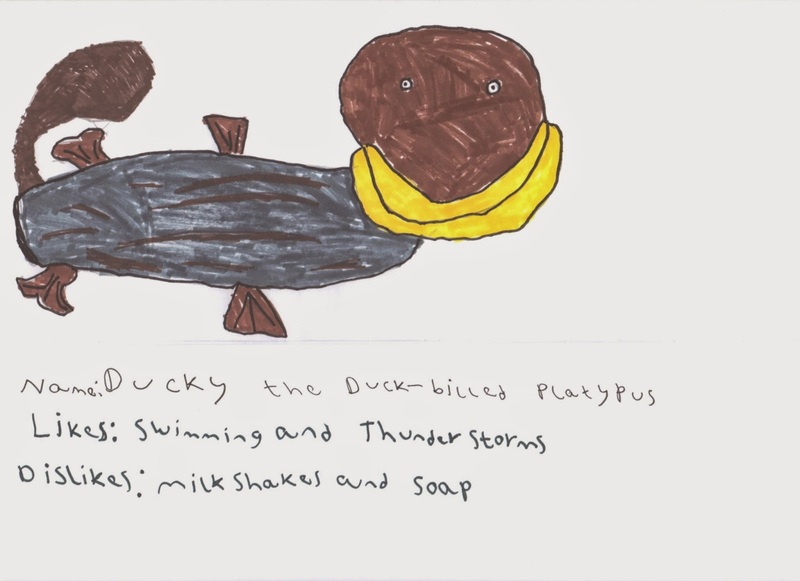 We'd like to secretly think that Lips was inspired by J's entry into the Design-a-moshling contest in 2013 when he sent in this platypus moshling idea. Never seen without their skateboards, Duck-Billed Brattypuses can travel at incredible speeds using their tails as makeshift propellers. And that’s just as well because these daring little Moshlings love setting up ramps and performing sick tricks. Sometimes they even upload videos of themselves hitting the sidewalk beak-first to GooTube. Ouch! Habitat: Head to the nearest abandoned swimming pool and you’ll probably find a Duck-Billed Brattypus pulling off a crazy tail grab. Otherwise head to Beak Creek. Likes: Grip tape and stair rails. Dislikes: Crazy paving and Bonkers Whizzlings.